One of the key active ingredients in our 100% Body Stick is Organic Arrowroot. So what is it and why is it even there. First, let me clarify what “active” ingredient means. It means that the ingredient serves a purpose other than filler or carrier. Take water for example. In some formulations it is required as a carrier in order to make the product the desired texture or constancy or as a delivery. I mean where would you be with your morning coffee if it weren't for the water. You would be chewing on a very bitter bean. You need the water but it has no real role to play. 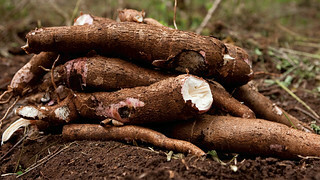 The Arrowroot has a real role to play. In fact almost every formulation of natural stick deodorant has some form of a powdered starch or mineral to it. It's up to the formulator (the person who writes the recipe) to figure out what they want to use. For Stick-It we design with the athlete in mind so we're gonna' assume you got some issues to contend with. Chances are you are pushing your body so you want something that will work and not leave you hanging out there stinkin' up the place. Chances are you may be showering more than the average person. So you'll want something to nourish your skin and not build up or clog your glands up. Chances are your gonna' work up a sweat, but that don't mean you gotta' be sticky. Chances are you play hard and you work hard so your gonna' get banged up so you can't have anything that irritates. Ever. Those are some of the reasons we choose Organic Arrowroot. The role of any starch or mineral in the stick deodorants is to create a moisture barrier. A nice smooth silky finish almost dry to the touch and goes on clear. This helps you cool off and dry off faster. Some will use salts or acidics and those will also act in suppressing arm pit bacteria (which is a big part of the stink). So how is Arrowroot made? From the tubers of several tropical plants. The cultivation of the plant goes back several thousands of years so it's got a pretty good safety track record. 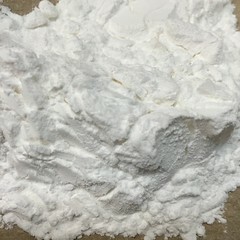 It is used in many foods from cakes and jellies to Asian noodles. There is very little nutritional benefits as it is almost pure starch, it is gluten free so it can be used to replace wheat. Turning it into the ultrafine powder (or flour) for cooking (or cosmetics)is a process. It starts with harvesting the rhizomes, peeling and pulverizing the roots. Soaking and straining and soaking again. Then you dry to white part and continue to grind to a fine powder.